About Transmission How does feline herpes affect your cat? Symptoms Diagnosis Treatment Can I catch herpes from my cat? About: Feline herpes is a highly infectious upper respiratory infection caused by the feline herpes virus (FHV-1). Kittens and senior cats are most at risk. Symptoms: Eye and nose discharge, sneezing, fever, loss of appetite, drooling and corneal ulcers. Diagnosis: Presenting symptoms and a nasal or eye swab sent for PCR testing. Treatment: Supportive care such as nutritional and fluid support, remove discharges from the eyes and nose antiviral medications. Prevention: Vaccination can prevent feline herpes. 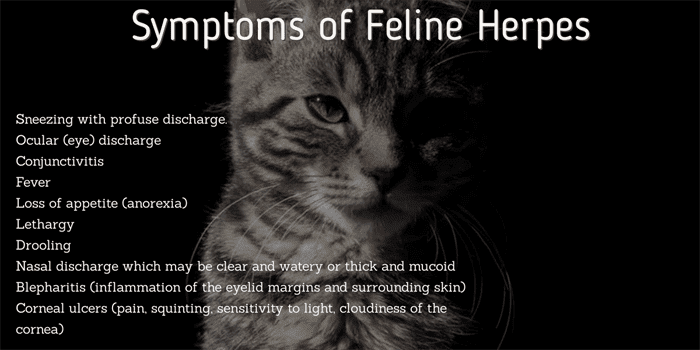 Also known as feline viral rhinotracheitis (FVR), feline herpes is a highly contagious upper respiratory disease of cats caused by the feline herpesvirus type 1 (FHV-1). An upper respiratory disease refers to infections in the area of the eyes, nose, throat and sinus areas. It is similar to a cold/flu in humans. Feline herpesvirus is the most common cause of upper respiratory disease in cats, kittens, cats in stressed/overcrowded environments such as animal shelters and multi-cat households are at increased risk. Once your cat becomes infected with the feline herpesvirus he will have it for life. The first outbreak is usually the most severe. 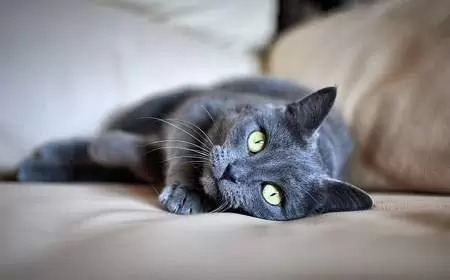 Once recovered, in the healthy cat the immune system usually manages to keep the virus in check, but there may be the occasional outbreak at times of stress (pregnancy, lactation, overcrowding, while boarding etc.) or sickness. Corticosteroid injections can also bring on an outbreak in the infected cat. The distribution of feline herpes is worldwide. How does feline herpes affect your cat? The virus infects and grows in the nose, eyes, sinus, throat, mouth, and tonsils of a cat which causes inflammation and fever. Due to the nasal discharge, the cat’s sense of smell is severely diminished, causing his appetite to wane, while the loss of appetite is dangerous in all cats, it is especially so in kittens. Due to the damage caused to tissues, it is possible for secondary bacterial infection to take hold. If a pregnant cat catches herpes, it can lead to the abortion of the kittens. Feline herpes can be spread by direct or indirect contact, the virus is able to survive for up to 24 hours in the environment. 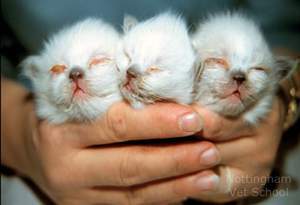 Vertical: It is possible for the mother to pass feline herpesvirus onto her unborn kittens. Direct contact: Saliva, eye and nasal secretions. Asymptomatic/latent carriers may shed the virus, which means that while they are displaying no symptoms themselves, they are actively shedding the virus and other cats can become infected. Fomites: Food bowls, caregiver clothing, litter trays, toys and bedding which have been in contact with an infected cat. The incubation period of feline herpes is between 2-5 days after exposure. Kittens, seniors and immuncompromised cats typically experience more severe symptoms than healthy adult cats. Your veterinarian will perform a physical examination of your cat. There are several other diseases with similar flu-like symptoms to feline herpesvirus although there are some slight variations. For example, calicivirus (which is also responsible for upper respiratory infections in cats) typically causes ulcers in the mouth, whereas feline herpesvirus causes ulcers in the eye. Most veterinarians can diagnose feline herpes based on physical symptoms, especially if corneal ulcers are present. A swab of ocular or nasal discharge is sent to a laboratory for PCR (polymerase chain reaction). This involves amplifying the virus greatly. It is possible for a negative result, even though the cat has feline herpesvirus. The goal of treatment is to give supportive care, manage symptoms and try to shorten the duration of the outbreak. Symptoms typically resolve within 10 days. Keep the nostrils and eyes clear of discharges. Use cotton balls dipped in warm water to wipe away any discharge. Broad-spectrum antibiotics may be prescribed, these are ineffective against the herpes virus but may be used to prevent or treat secondary infections that may occur. Oral antiviral drugs such as acyclovir, famciclovir or ganciclovir for severely affected cats. Antiviral eye ointment (Idoxuridine or Cidofovir) to treat cats with corneal ulcers. Topical lubricating eye drops can improve comfort. Fluids to maintain hydration or rehydrate. L-Lysine is an essential amino acid which can suppress viral replication as well as inhibit cytopathogenicity. It is available in a palatable paste form from most pet stores and veterinarians. The typical dose of L-Lysine is 400-500 mg per day. Always speak to your veterinarian before administering supplements. Cats often lose their appetite if they are suffering from an upper respiratory infection. Offer him highly palatable soft foods such as the gourmet cat foods or poached chicken, warming it up slightly can help. Uncomplicated feline herpes usually resolves within 7-10 days. Administer all medications as directed by your veterinarian. If you have other cats in the household, quarantine the infected cat until it has recovered. Ensure the cat receives adequate food and liquid intake. Nutritional support can include offering highly palatable foods (warmed, if necessary), appetite stimulants or if the cat refuses to eat, a feeding tube will be necessary. Subcutaneous fluids to treat and prevent dehydration. The veterinarian can show you how to administer sub-q fluids. Ease breathing and discharge with vaporizers, if you don’t have a vaporizer, run a hot shower until the room is steamy and leave your cat in the bathroom for 10-15 minutes. Remove eye discharge and crusting with gauze and a warm saline solution. Apply Vaseline to the nose. The feline herpes virus is fragile and can only live for 24 hours in the environment. The following disinfectants are effective against FHV-1. If a cat contracts herpes before receiving a vaccination, the virus will remain with your cat for life. Most of the time it is dormant (latent stage), but at times of stress or sickness, the virus can reactivate, causing symptoms. Is feline herpes contagious to humans? 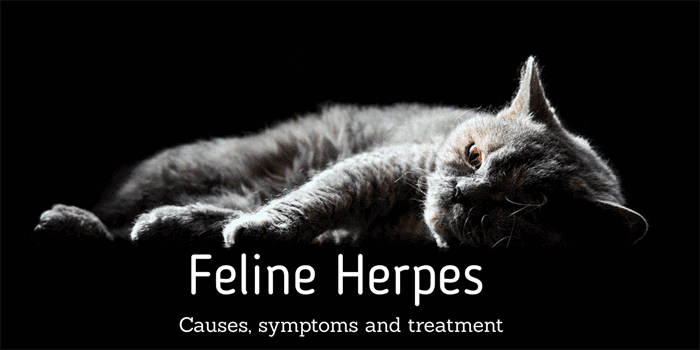 No, you can not catch feline herpes from your cat, only domesticated cats, and close relatives can catch feline herpesvirus. There are several types of herpes virus to infect humans but they are not the same as feline herpes. Is feline herpes contagious to other cats? Yes, feline herpes is extremely contagious and carers must isolate cats with herpes to prevent transmission. Can cats catch cold sores from humans? Just as humans can’t catch feline herpes, cats can’t catch cold sores (which are caused by a herpes virus) from humans. All herpes viruses are host specific and do not cause infection in other species. It can be, particularly in young kittens. Infected cats must receive supportive care while their own body fights the virus. Is there a cure for feline herpes? Once a cat is infected with the herpes virus, it has it for life. After the initial infection, the virus lays dormant, primarily in the trigeminal ganglion and to lesser degrees in the cornea and nasal cavity. Flare-ups can occur during times of stress, such as a trip to the veterinarian or a stay at a boarding facility. The best way to prevent feline herpes is to have your cat vaccinated. Kittens should receive their F3 vaccination at 8, 12 and 16 weeks of age, then receive a booster at 12 months followed by tri-annually after that or as your veterinarian recommends. Quarantine new cats for 7-10 days before introducing them to resident cats. Hi. My cat had a sore eye when we picked her up from her breeder. She was on a course of antibiotics due to a infection caused apparently by playi fighting with her siblings. It cleared up and she was fine. Every now and again she gets a weepy eye (same eye ) and she sneezes occasionly. She has no other symptoms,she eats, plays and is otherwise normal in every way. We wanted her to have one litter of kittens before we have her neutered but our vet says she has the heroes virus and should not therefore breed. Is there a test to find out of she does have the virus? Your veterinarian should be able to perform a polymerase chain reaction (PCR) test on eye discharge. I recently bought a Bombay kitten (5 months at purchase time) from what I now believe is less than ethical breeder. When we picked up the cat (we had been waiting over a month, they kept giving excuses why he wasn’t ready to move yet, we noticed he was recovering from ringworm treatments and sneezed a couple of times, but our other kitten (a rescue) fell immediately in love, acted like they were long lost littermates (which she didn’t with others), and we knew this was the cat for us. The PCR test came back today, two weeks later, positive for FHV-1, which we tested for because he had watery eyes and was sneezing and the vet recommended it after measuring a slight temperature. His appetite is amazing (his favorite food is any food he can steal from anyone else after finishing off his own bowl), he is extremely playful (no lethargy at all), he doesn’t get sneezing “attacks”, just one at a time a few times an hour at the worst and now a few times a day now a week after the worst of it. No lesions, eye ulcers, or conjunctivitis. A bit of congestion causing some coughing fits, but nothing running from the nose and no blockages. And in spite of having spent the last two weeks playing rough and tumble with our rescue kitten who was only old enough for her first vaccination 5 days ago, the rescue kitten has shown zero symptoms so she doesn’t seem to have contracted anything. We didn’t separate them because prior to talking to the vet two days ago, I didn’t even know FHV was a thing (new cat owner). What is the likelihood of a false positive on the PCR test (I am searching, but not finding solid info), and is there another disease that better suits his symptoms? Or is this probably a second or later attack so the symptoms aren’t so severe and the breeder hid all of this to make a fast buck (my belief)? The breeder has offered to swap him out for another cat of our choice, but as we have all bonded and we know they will destroy him, that isn’t an option and we will do our best to make sure our cats have a happy home for as long as possible. Sorry to hear about your kitten. I really don’t know about the chances of a false positive on a PCR test, I would imagine they are low because the test creates millions of copies of the viral DNA. I really can’t answer the other questions, sometimes a change can cause a cat to become sick, the cat already has the virus but the immune system keeps it in check. The stress of a new home can cause the virus to take hold. I really don’t know if the breeder would have been aware or not. I adopted an adult cat who had full blown herpes (she must have contracted it at the shelter), and while she was incredibly sick during that outbreak, and almost died, she did recover and lived another 10 years without incident. Thank you very much for your response. It helps us to feel better about our decision to keep him.